The heat is so unbearable these days, I totally get it why the kids want to swim everyday. It's just gotten to a point where we need more than just 1 bathing suit this summer. We need to have like at least 5 on rotation. These are the breezy tops I told you about in an earlier post. Doubles as a cover up! 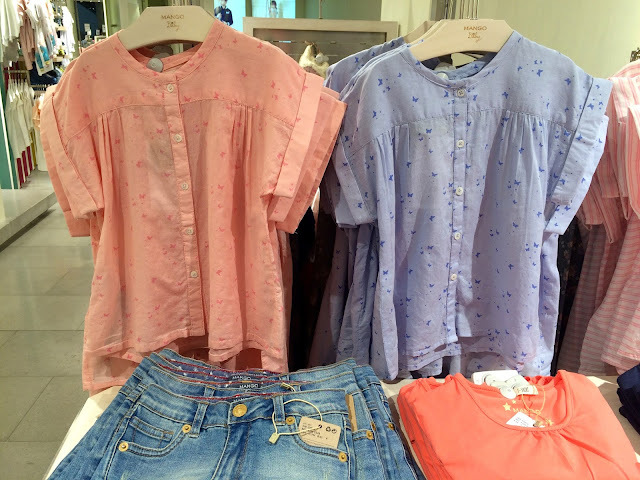 To see more of MANGO Kids this summer, follow @mangokids on Instagram, or better yet, visit MANGO Kids in SM Mall of Asia, Ayala Cebu, SM BF Paranaque, Trinoma, Glorietta 2, Eastwood, and SM Megamall. 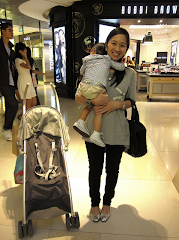 French Sole Liberty Collection + Sip & Shop With Me! 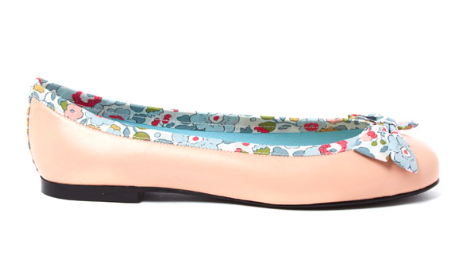 You know how much I love flats, and that my affair really started with French Sole. But what happens when two of my beloved British brands meet? It's kismet! What's that other brand? Liberty of London, that what! Yes, I'm talking Liberty prints, those adorably dainty floral prints that we just can't shake off from childhood. 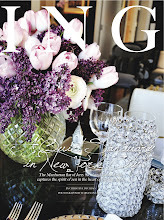 I still have scarves and Liberty print boxes from years ago that are timeless as they are undoubtedly British. 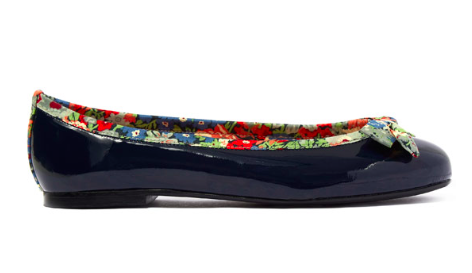 But Liberty prints + French Sole shoes? That's like a marriage of fun, quirk and stylishness. This exclusive capsule collection, featuring Liberty's classic prints, playful details and French Sole's signature supple finish have arrived at French Sole boutiques here in Manila! According to Jane Winkworth, founder of French Sole, it was not difficult to imbibe the spirit of Liberty in her shoe designs, "There was little challenge for me as the ideas just came naturally - the colours are inspirational and just mixing and clashing the prints followed the style that I am known for in my shoe designs." Now here's the fun part, I would love for you dear readers to join me as we preview the French Sole by Appointment to Liberty at the soon to open French Sole store in Greenbelt 5, this May 5 at 2:30 PM!! Hope to meet some of you, and I promise I'll help you shop for a pair or two! Hey, if you've been doing Konmari and you find yourself with bags and bags of clothes and linens that do not spark joy, you might want to consider bringing your unwanted and unloved garments, towels, old sheets and such to H&M. Yes, that sock missing the other pair, that hole-y shirt, that 20 year old dress that nobody wants, whatever brand, whatever condition, they're all welcome. In case you didn't know, H&M has been running a Garment Collection program worldwide, and in the Philippines, they've already collected 9.120 tons of garments as of January 2016, where for every kilo collected, H&M Philippines donates about Php1 to UNICEF. Of course, you get something too. As part of H&M's World Recycle Week activity, from April 11-24, every bag of old garments collected brought to your favorite H&M store will entitle you to 2 vouchers (instead of the usual 1) worth 15% off each to be used for your next purchase. That said, it's great for the environment too. By collecting old clothing, H&M ensures less garments go to landfills. 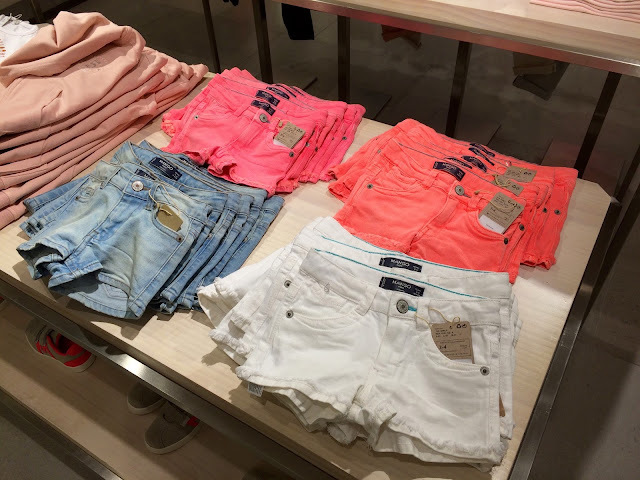 Two years ago, H&M also introduced its first new garments that used recycled textile fibers, important steps in closing the loop in fashion. The long-term goal is to have zero garments going to landfill, as well as saving on natural resources. 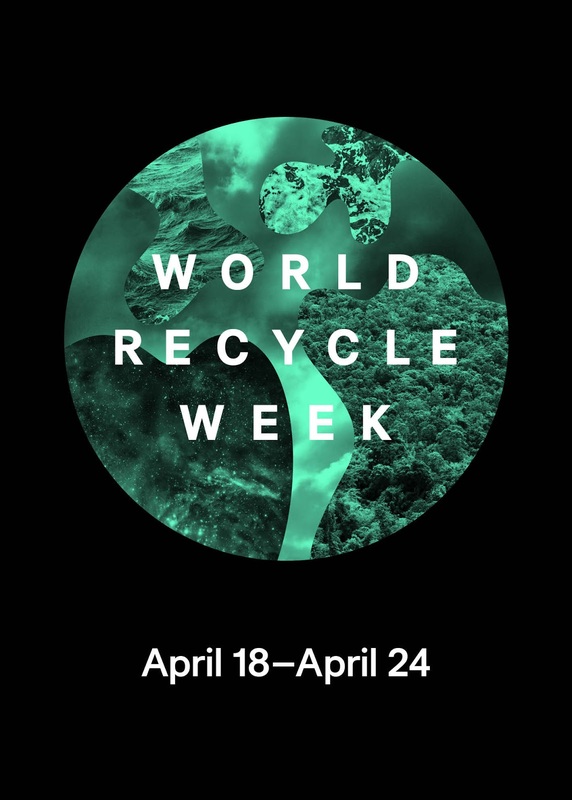 By recycling just one T-shirt 2100 litres of water can be saved – imagine the impact of 1000 tons garments collected during World Recycle Week. 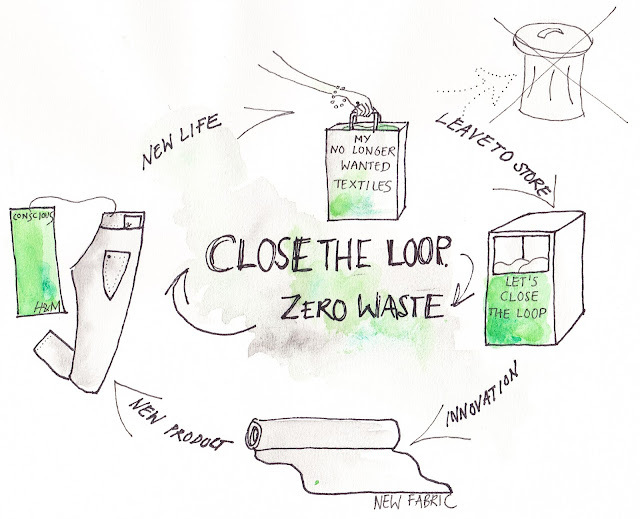 Close the Loop is a central commitment of H&M’s Conscious Actions for sustainability. The aim is to create a closed loop for textiles, so that unwanted clothes can be reused and recycled to create fresh textile fibers for new products. I managed a quick chat with Fredrik Famm, H&M Philippines Country Manager, to talk about their sustainability efforts, and I'm sharing what I've discovered here with you. MFO: I'm curious, what happens to the clothes collected from the garment collecting activity? Where do the clothes go? How does it work? Fredrik: This is something that we started back in 2013. We are the first fashion retailer which has started a global initiative for collecting unwanted garments in all our stores. We work together with a global recycling company, and they are helping us to to then recycle everything in the best possible way. There's obviously different stages in that process. After the garments have been collected in our stores, these are then sent to a sorting facility, and there are a few sorting facilities around the world. In these sorting facilities, you basically make up your mind if you can re-wear the garment as second hand clothes, or if you can re-use for some other purpose like cleaning cloth or for insulation in car seats for example. Or if that's not possible, we are now working on techniques to recycle the garment into yarn that you can use for producing new garments. So basically, to close the loop altogether. MFO: Normally, when you think recycled or sustainable, you think of it as wearing you know, rough kind of fabrics. For Conscious Exclusive, is that a conscious mindset as well to veer away from the look of what's "green" and "recycled". Was that a way to change the mindset? 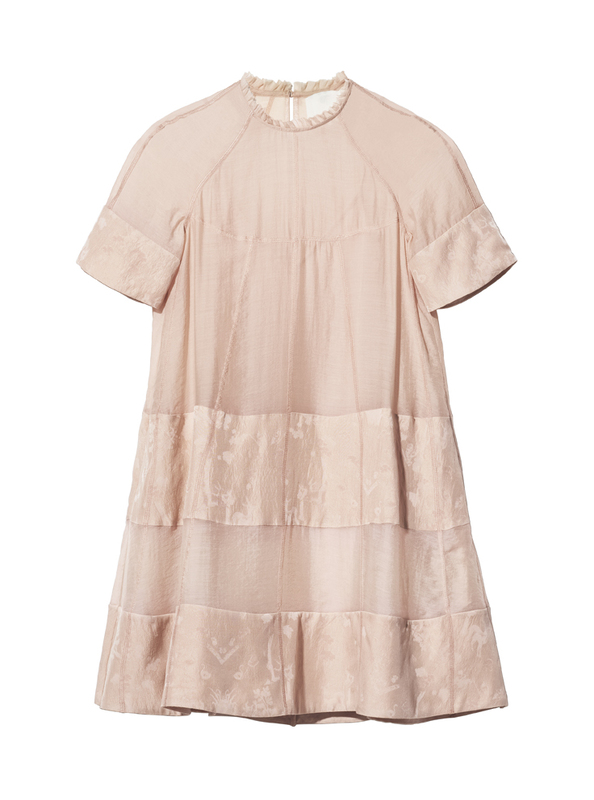 The Moreau dress made out of pure, organic silk. The pants are made out of Tencel and silk. Fredrik: I would say that in a way, yes. I think there's a perception among many of our customers that garments made out of more sustainable materials are a bit more boring, maybe not so fashionable, and we strongly disagree. We really want to show that with more sustainable materials, you can still make state-of-the art fashion garments. 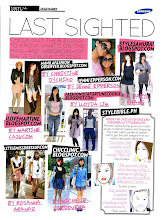 That's why we decided to do a red carpet collection that you can really wear for special occasions. This is absolutely the latest when it comes to sustainable materials. This year for example, in the collection that we recently launched, we have two brand new sustainable materials. 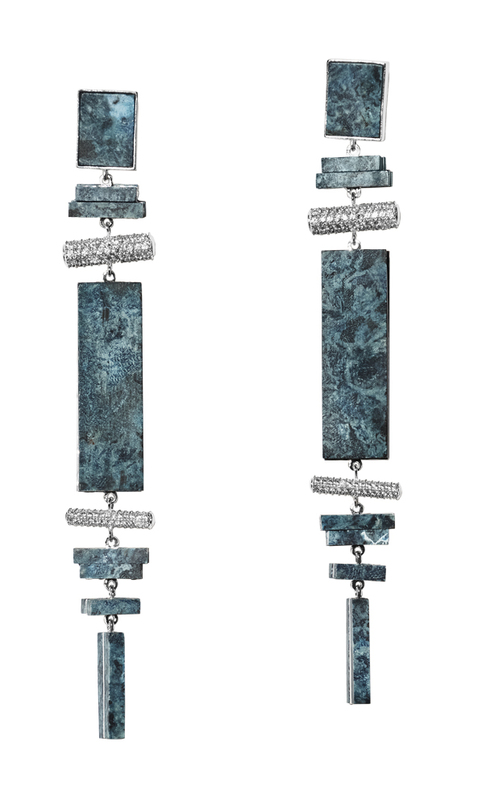 One which we call Denimite, which is denim that has been recycled into a very hard substance that you can use in earrings for example. We also have recycled glass beads. In every year's Conscious Exclusive Collection, we try to work with the latest, more sustainable materials. In a way yeah, we try to show the customer that sustainability can really be fashionable. 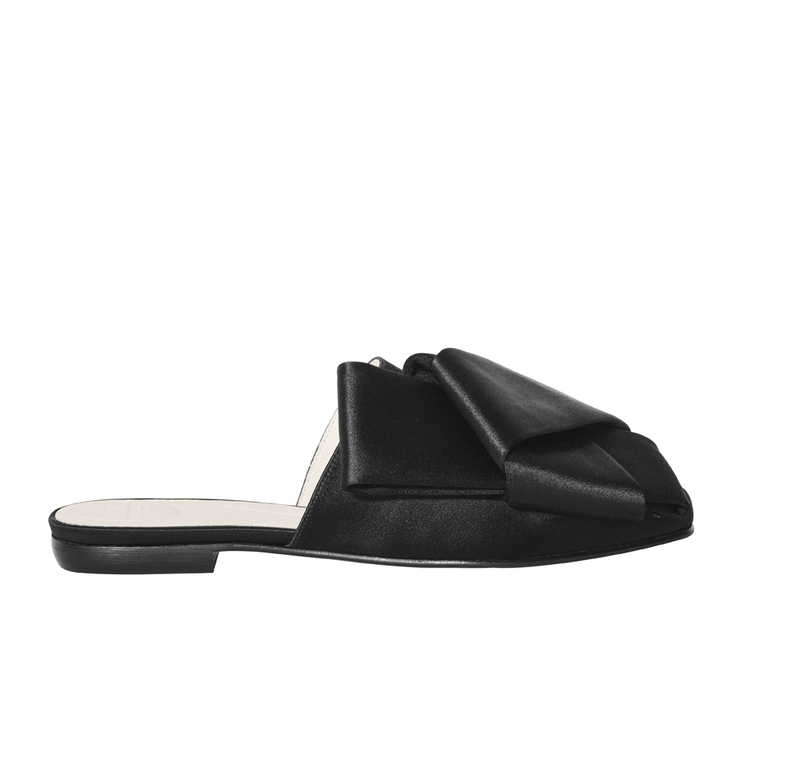 MFO: How does that impact your price points given that there's an extra effort to use sustainable and organic materials vs using cheaper materials. Fredrik: We've been doing this now for quite a number of years, and our firm belief, and our learning is that garments made out of more sustainable materials doesn't necessarily have to be more expensive. 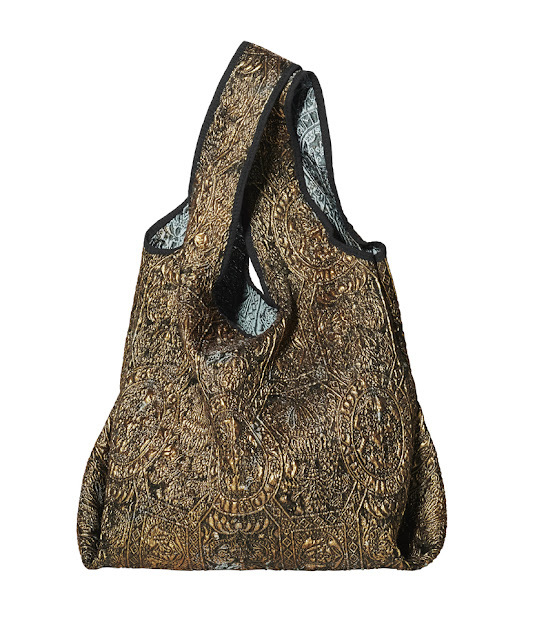 We can talk separately about Conscious Exclusive, as I mentioned these are garments made for the red carpet, in very special materials and with the very latest in sustainable materials. But in our stores, on an everyday basis, we have a lot of garments made from sustainable materials, for example, organic cotton, organic linen, and recycled polyester, etc. We have that in our stores, in all departments: in kids, in ladies, mens, in the teenage department. These garments are for everyday use and they are priced more or less in the same level as our normal collections. So the vast majority of the more sustainable products you find at H&M are exactly at the same price points as the rest of the collections. MFO: How do you manage to bring down the price to a more affordable level? Fredrik: I think it comes back to how we work: an efficient logistics chain, we are buying in large quantities, we have a very cost conscious mentality within the company. This is obviously a system that we have been working on for many years, sourcing from the right suppliers at the right time, in the right way, you can of course offer very competitive price points. MFO: Well, I personally can see that commitment to value as well as quality. I have clothes from H&M from 10 years ago that still look nice up to now. 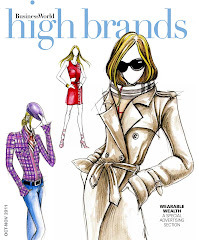 Fredrik: H&M is fashion and quality at the best price in a sustainable way. We put a lot of pride in also making garments that should be able to last, that you should be able to wear many times. Dan Mejia: Would you believe that even the dust from the fabric grinding process during recycling are also collected and turned into new fibres, that will then be turned to garments. Fredrik: It's amazing, if we close that loop, that is the future of fashion, and then we can be very happy and proud of what we are wearing. Right after my interview with Fredrik, I brought Berry to check H&M's Upcycling Workshop at Kidzania, one of four stations that make up the Greener World program, designed to teach kids how to be good stewards of Mother Nature. At H&M's Upcycling Workshop, kids will learn about H&M's garment collection program, and get to create a bracelet made from fabric scraps. They get to earn 10 Kidzos too by donating a shirt and completing their bracelet! #hmclosetheloop at KidZania and the Greener World program runs until June 15, 2016. 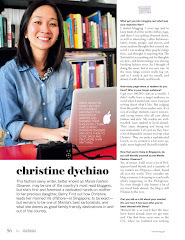 My dermatologist, Dr. Yanee Santos once told me during a consultation that my skin type doesn't tan. I just burn. So when we head out to sea, I need to wear a hat, pile on the sunblock, wear a rash guard. But then, I expose my legs. Hello, I am not wearing a scuba outfit to stay at the shore and build sand castles with the kids no. And so it happens time and again. We go to the beach, and I come back, without a tan. Worse, I end up with an uneven skin tone. My face partly splotchy from the sun, my body still fair, but my legs, some kind of weird color that is not a tan, but still a shade darker than my usual complexion. Then of course, I have those flip flop lines on my feet. In short, not a pretty sight. I got to try Kojiesan's Skin Lightening range, just to fast track my skin lightening and even-ing process, and I'm happy to share, I got good results. Best news yet, it won't cost you a fortune! I first heard of Kojiesan from Dada and his friends who are in the distribution business. 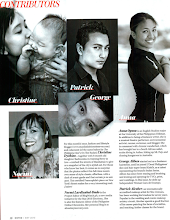 More than a soap that has become the #1 Kojic soap in the country, it has a very inspiring business story behind it. But that story is worthy of another blog post altogether. I am so in awe of the owner, I want to meet her personally. What you ought to know for now is that in less than 10 years, Kojiesan Lightening Soap with Kojic Acid, the flagship product to Beauty Elements Ventures, Inc. (BEVI) became so popular, it gained such a huge mass following of users turned believers. If you're wondering what Kojic Acid is, it was discovered in Japan. It is a by-product of Koji or Malted Rice used in the production of rice wine. In cosmetics, it is known for its remarkable whitening effect and antioxidant properties. This wonder product is the exact same ingredient found in all 4 of Kojie San's skin whitening range. 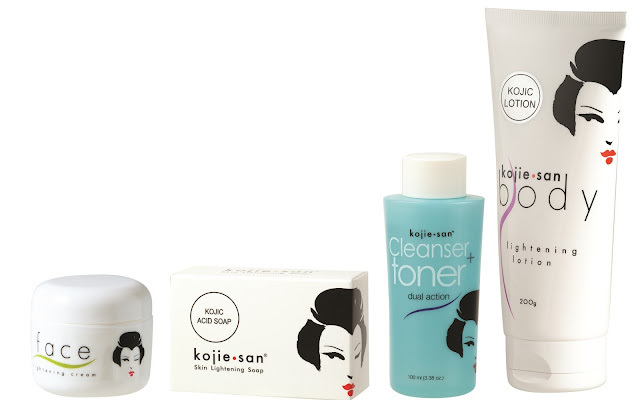 Kojie San Cleanser + Toner (100 ml, Php75) is equipped with Ginseng Extract and Rosehip Oil to revive tired skin. It rids skin of excessive oil while repairing damage. Kojiesan Face Lightening Cream (30g, Php120) is made from a combination of natural extracts plus high-grade Kojic Acid that lightens as it nourishes the skin. It restores skin suppleness for a healthy, rosy look. Kojiesan Body Lightening Lotion (200ml, Php262) has an advanced formulation of Kojic Acid plus Rosehip Oil that whitens skin as it heals. It is made for faster absorption to lighten skin in less time and has Collagen + Vitamin E to increase youthfulness and skin health. My verdict? I usually find supermarket and drugstore brands too harsh in terms of scent and its effect on skin sensitivity, but I had no issues on that with any of these 4 Kojiesan products. I liked the tart, fruity scent of the Skin Lightening Soap, and for a whitening soap, it did not dry my skin at all. The Cleanser + Toner, let me tell you, is amazing. It has a clean, minty after feel, and does not leave skin feeling tight after use. The Face Lightening Cream is light and non-greasy, while also doubling as a moisturiser. I haven't used it long enough to see if it will lighten my freckles, so let's see. I put it on my elbows and knees as well, which I still layer with the Body Lightening Lotion. It smooths on like butter without the slippery feel. These two moisturizers smell really nice too, not overpowering at all. Best of all, they really do lighten! I've only used the products for barely a month, but I've already seen their skin lightening effects. 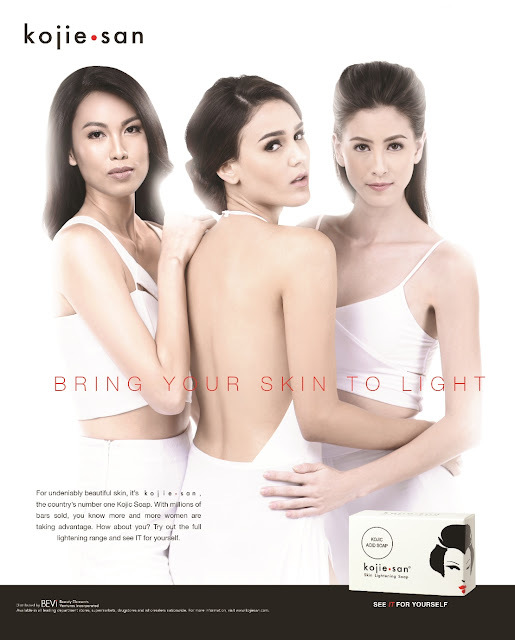 Whether you want to even out the skin tone of your face, get rid of peklat on your legs, or pimple blemishes on your back, whether you are chinita, morena or tisay, all that can be achieved with continuous use of the Kojie San Skin Lightening range. Kojiesan is available at leading supermarkets, drug stores and sari-sari stores nationwide. 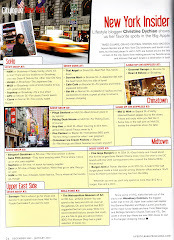 Do you have a Kojiesan lightening story? Share your experience at Kojiesan's social media accounts on Facebook https://www.facebook.com/KojiesanPH and Instagram @kojiesanph and hash tagging #KojieSan and #BringYourSkinToLight. I came of age in the 90s, when office wear meant wearing a suit to work. Yes, complete with stockings and heels. I mean, who wears that these days? Especially in this heat. But back during my time, a banker girl with dreams of rising up the ladder would wear her black opaque tights and heels with a tailored pencil skirt, a blouse and jacket. That’s just how it was. Maybe we were trying to channel the Hong Kong office girls, maybe it was an offshoot of the grunge influence when we'd wear tights with Doc Martens, I really don’t know what got into our heads then. But thankfully these days, office wear has relaxed to a point that girls don’t have to subject themselves to wearing heels, jackets and pencil skirts unless we want to. Today, the rules of work have also changed in the sense that people can work from home, in a coffee shop, a co-working space, even in the car while on the phone. But that doesn’t mean you’ve got to let your workwear wardrobe slide. No matter where you hold court, be it in a corner office, or your client’s conference room, it’s important to make a good first impression, and look professional throughout. 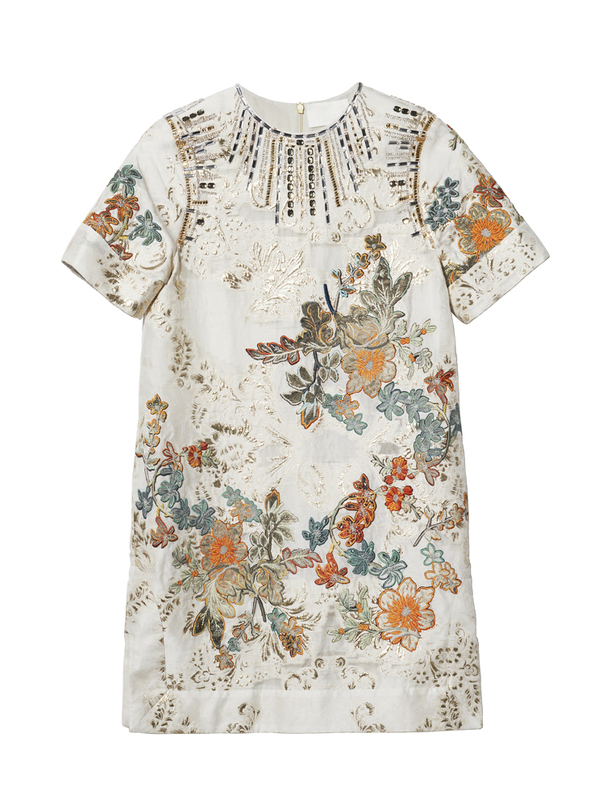 - I have a friend with an arsenal of shift dresses that she slips into whenever she has an important presentation. It’s a piece that makes you look instantly polished, without having to compromise on comfort, allowing you to focus on the task at hand. 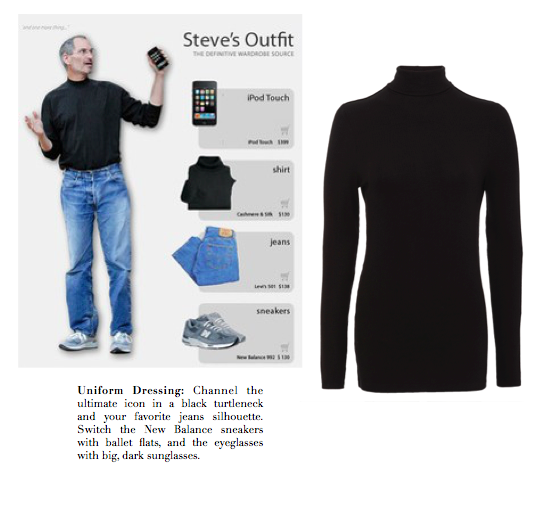 - It’s a wardrobe staple that will serve you well. The possibilities are endless. 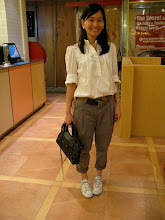 Wear it to the airport with a t-shirt and sneakers, to the boardroom with a blazer, silk top and heels. Tailored trousers are a key piece that gets you dressed up in record time. - Jackets don’t just keep you warm, they have the power to transform. A well-constructed jacket should feel like second skin, with the shoulder pads resting on your shoulders, the sleeve falling right before the wristbone, and the hem hitting the hips. - Invest in a few key pieces and leave it at that. When it comes to looking professional, less is always more. 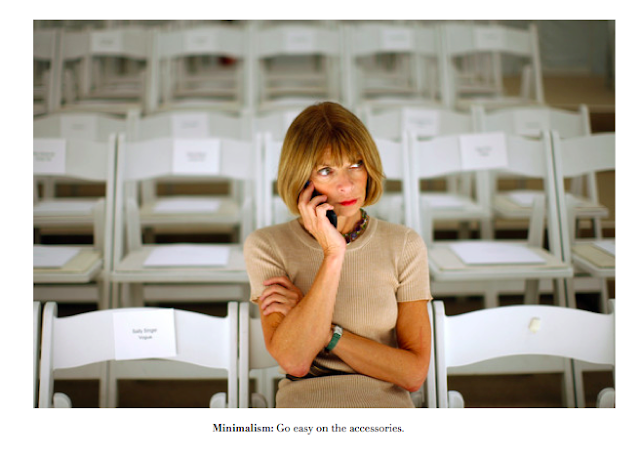 Anna Wintour, the most powerful woman in fashion, knows the essentials. 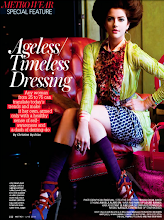 - While loud colors can be tricky, there are subdued tones that can add just the right amount of pizzazz to an outfit. That said, explore new fabric options. Who says chambray shirts are only meant for rough and tumble weekends. 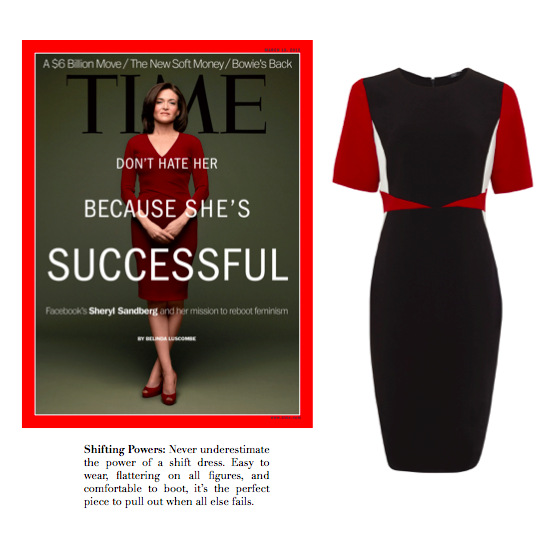 When paired with a printed or colored pencil skirt, it ups the fun factor to office dressing. - Just take a look at Mark Zuckerberg and Steve Jobs. It’s one less thing to think about in the morning. - Who wants to be perfect? 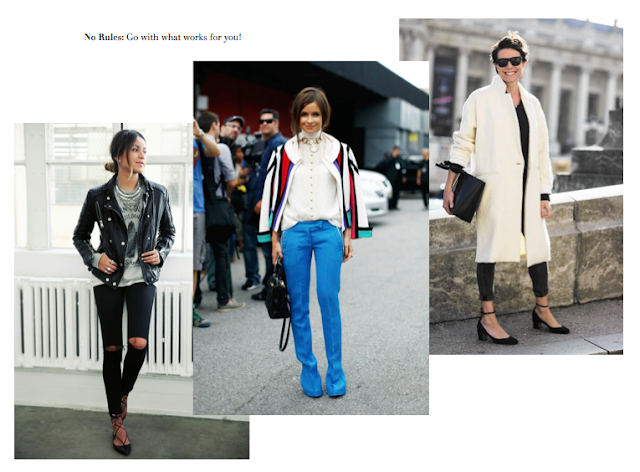 Garance Dore says “Nobody perfect is cool. And nobody cool is perfect.” What we ought to aim for shouldn’t just be cool, but polish as well. A good skin care regimen, nice hair and a touch of makeup is a great way to show politeness to the world. 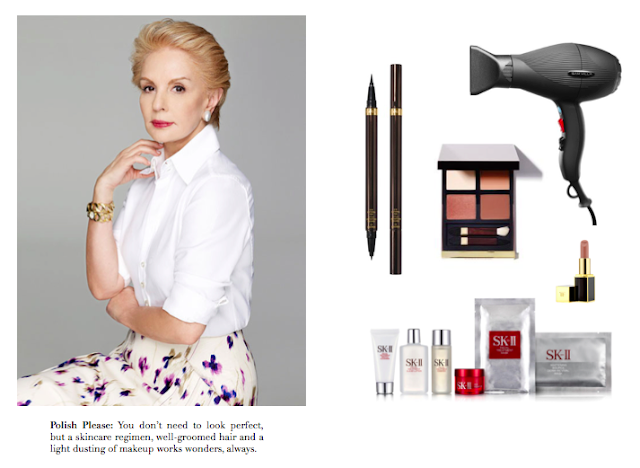 When I grow up, I want to be as polished as Carolina Herrera, the ultimate icon of cool. polished elegance. - Do gamechangers and disruptors follow rules? Thought so. At the end of the day, there are no hard and fast rules. Go with your heart, stay true to your core. Don’t let anybody tell you otherwise. Stay true to your own personal style. Being comfortable in your own skin is what matters, as seen by the varied but equally alluring styles of Julie Sarinana, Miroslava Duma and Garance Dore. 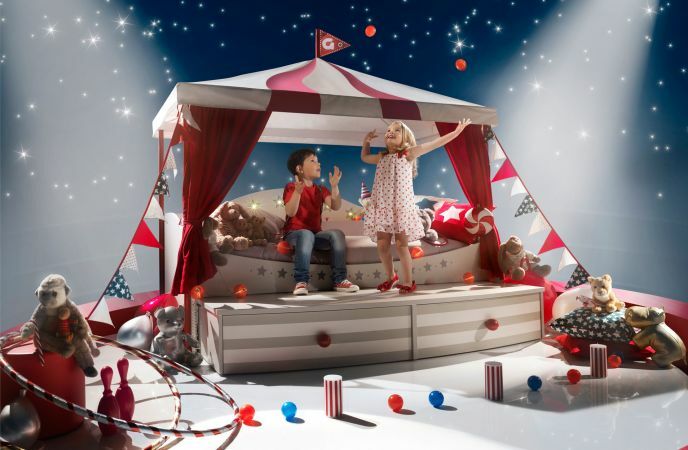 55 years ago, French furniture company Gautier dreamt up its very first kids’ bedrooms infused with visionary flair. Since then, over 5 million children and teenagers have slept in a Gautier bed. But more than just style, plenty of thoughtful details go into this bed. From the rounded headboard to storage drawers, even embedded LED lighting. And I have to tell you, expectations really meet reality at Gautier. Here's the bed as seen in the Gautier Manila showroom at the newly opened retail area of Shangri-la at The Fort. Now, let me show the Demoiselle collection. It's very French, very feminine. Berry and all our girly girls would love this. It's authentically French too, since Gautier is one of the few global brands that chooses to maintain almost all its manufacturing in France. 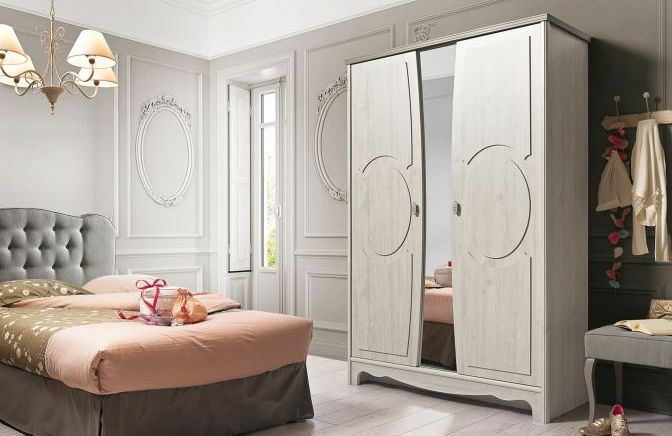 Over 95% of the furniture sold in Gautier stores are manufactured in their French factories while the rest are produced in neighboring European countries. Again, the pictures will not disappoint because the reality is just as pretty. 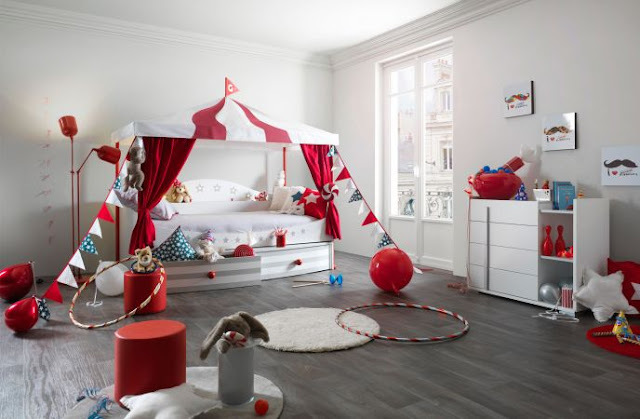 Socially minded consumers will also love the fact that Gautier helps protect forests by manufacturing its furniture from wood sourced in sustainably managed forests or from recycled scrap wood within 300 km of its factories in Vendee, France. It also adheres to strict European eco-friendly manufacturing practices and prioritizes local communities in its employment, employing over 950 individuals across its 3 manufacturing sites in the Vendée region. Like true artisans, the manufacturing expertise ￼in furniture making is handed down generation after generation. Being able to balance sustainable practices and practical design is a huge bonus, of course. I love their space saving and multi-functional beds. Like these from the Dimix line. Again, as seen in the showroom. They have separate work desks too, that kids and teens can enjoy studying at. Check out this bedroom fit for a teenage boy with rock star dreams. Hehe. Dada with Chris Lim, whose family brought in Gautier to Manila. His brother Greg manages Gautier Manila. Gautier is more than just kids and teen furniture of course. They have bedroom furniture for adults too. Which includes closets and storage units. Check out their bed which you can pop up, so that it's easy to change the beddings. They really think of these things. I just have to highlight this deck chair inspired by yacht furniture. Isn't it chic? The most chica folding chair in my book. If you are looking to furnish your home or apartment, you better know that Gautier offers furniture for every room in your house, not just the bedroom: living rooms, dining rooms, foyers and so much more. 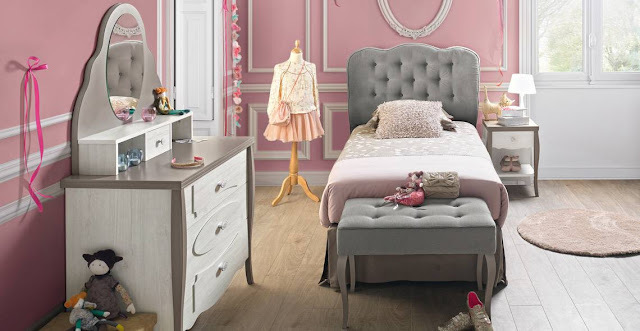 If your aesthetic veers towards simple, chic, contemporary furniture that you want to live your life in, you will find plenty of that right here, at Gautier Manila.